B.R. 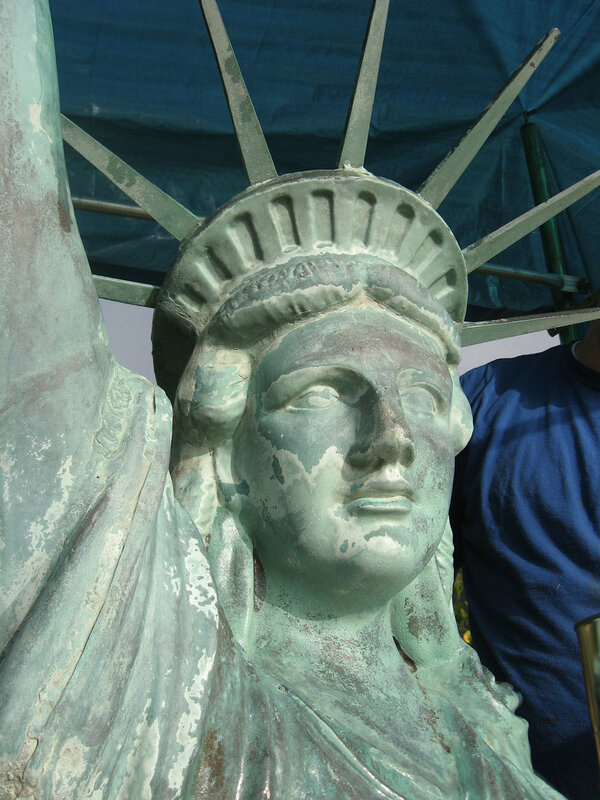 Howard was contracted to conserve a replica of the Statue of Liberty located in Austin, TX. Two hundred of these statues were offered to communities throughout the U.S. as part of the Boy Scouts of America's 40th anniversary (1950). Only a few dozen currently survive today. They were constructed by the Friedly-Voshardt Co. in Chicago from 42 stamped or hand formed copper sheets which were joined by soldering over an internal cross bracing system. 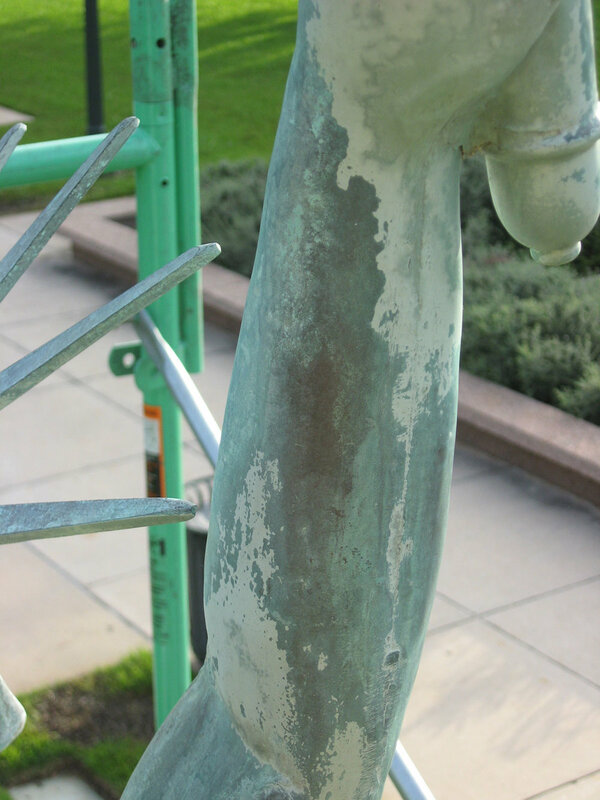 After several decades of constant exposure to the harsh elements and improper restoration efforts, much of the patina had been removed. Paint and lacquers had been applied and they were badly deteriorating and flaking off. The surface was thoroughly cleaned, and the paint and lacquers were removed. A new patina was formulated, tested, and applied to the surface, followed by a protective lacquer and cold wax applications.